Another entry from the UK, Toronto After Dark presented us with the FrightFest hit Cockneys vs Zombies for its Canadian premiere. The horror comedy set in London’s infamous east end aims to take off from where Shaun of the Dead left off also uses the insular setting of an elderly age care home to stage most of the action. The combination of the care home residents and young protagonists out to save their granddad is unique, but does it work? Brothers Andy (Treadaway) and Terry (Hardiker),………………………………………….. This entry was posted on October 25, 2012 by moviejunkieto. 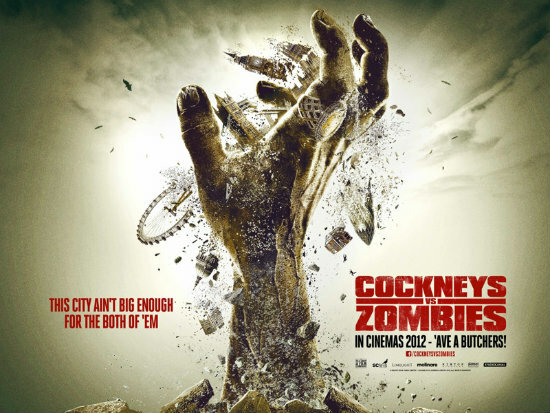 It was filed under Film Festival, Reviews, Theatrical and was tagged with Alan Ford, Ashley Bashy Thomas, Cockneys, Cockneys vs Zombies, Georgina King, Harry Treadaway, Honor Blackman, James Moran, Lucas Roche, Matthias Hoene, Michelle Ryan, Rasmus Hardiker, Richard Briers, TAD, TAD 2012, Tony Gardiner, Toronto After Dark 2012, Toronto After Dark Film Festival.